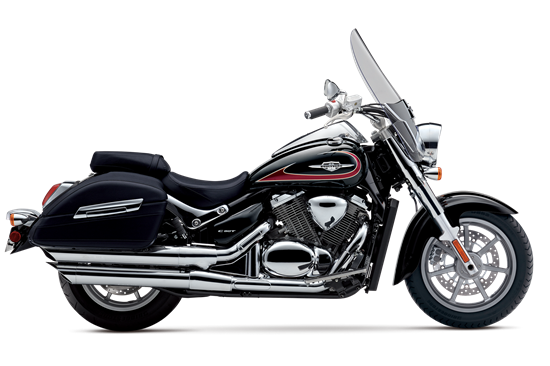 Large-capacity, leather-texture saddlebags are standard equipment with Boulevard emblems and convenient twist-lock fasteners provide plenty of storage capacity. These rigid saddlebags are made of durable, impact-resistant ABS plastic under stylish covers custom-matched to the leather-grain texture of the seats. They are designed as part of the bike, not as luggage add-ons.